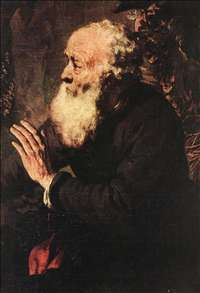 Dutch biblical, genre, and portrait painter, a gifted and favourite pupil of Rembrandt, to whom he remained a close friend. 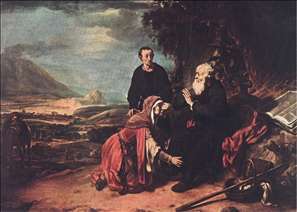 His usual style is based so closely on that of his master that many of his pictures have passed as works of Rembrandt himself. 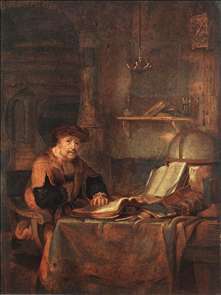 Eeckhout was one of the most successful of this school in adopting the broader and bolder technique of Rembrandt s mature style, though he seldom approached the master in humanity or depth of feeling. 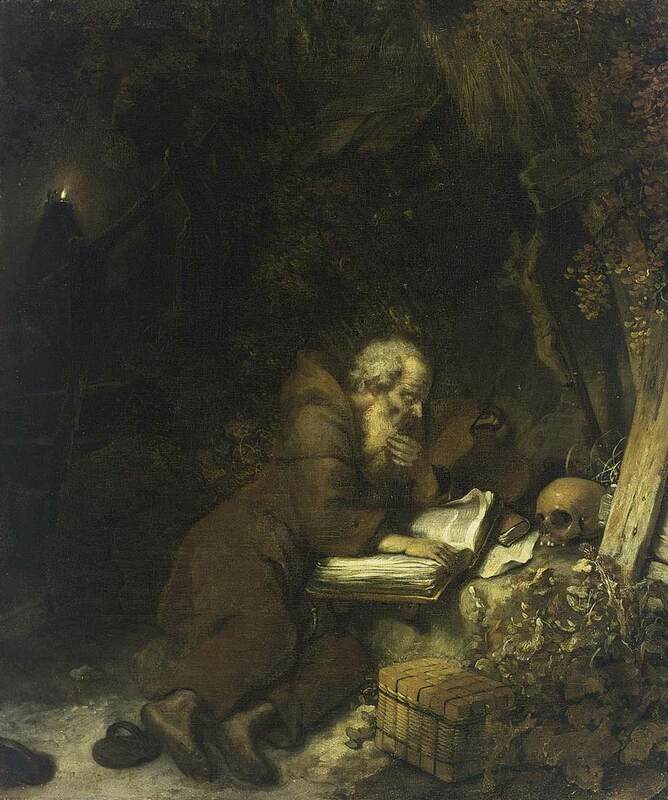 In surprising contrast to his normal Rembrandtesque style are a number of highly finished genre subjects - guardroom scenes, backgammon players, and so on. 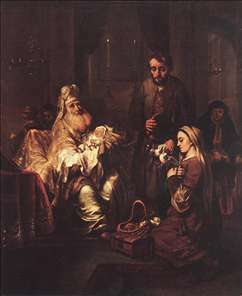 An example of the early style, once thought to be by Rembrandt, is the Christ Raising the Daughter of Jairus in the Staatliche Museen, Berlin. 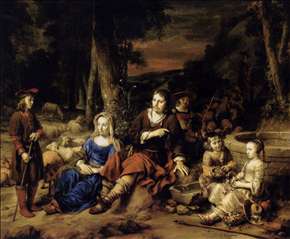 A good example of genre in the manner of Terborch is The Music Lesson of 1655, in the Statens Museum for Kunst, Copenhagen. The National Gallery in London has a fine group portrait of Four Officers of the Amsterdam Coopers and Wine-Rackers Guild dated 1657. 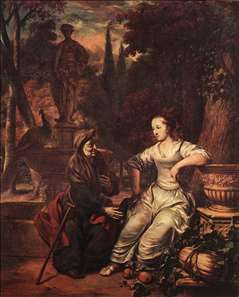 See more details about "Prophet Eliseus and the Woman of Sunem"
See more details about "Prophet Eliseus and the Woman of Sunem "
See more details about "Portrait of a Family"
See more details about "Presentation in the Temple"
See more details about "Scholar with his Books"
See more details about "St Francis of Assisi"
See more details about "Vertumnus and Pomona"